The Court of Justice argued that the arguments to include the PKK in the European Union Terror Organisations List were not sufficient. The case against the inclusion of the PKK in the the European Union List of Terror Organizations which is renewed every 6 months, concluded that the arguments put forward as the reason for the inclusion were not sufficient. After the list compiled on 10 February 2014, complaints were filed against the inclusion of the PKK in the subsequent lists renewed every 6 months until 2017. The Court of Justice said that the arguments had not been properly examined. In the case of objections against the decisions taken during these 4 years, the Court of Justice concluded that the decisions were wrong. The court pointed out that a series of incidents and acts were cited as a reason for the inclusion in the list, but that such arguments were not sufficiently legally argued by the EU. Noting that the PKK’s situation in the new Middle East scenario has not been taken into account, the ruling determines that the reported charges do not constitute enough arguments for the inclusion on the list. The court is not sure whether the right of defence has been respected at Turkish courts or treated in accordance with case-law with regard to the attacks attributed to the PKK. According to the court, it is also apparent from the case-law that the Council must, before acting on the basis of a decision of an authority of a third State, verify whether that decision was adopted in accordance with the rights of the defence and the right to effective judicial protection. The Council is, therefore, required to provide, in the statements of reasons relating to those decisions, the particulars from which it may be concluded that it has ascertained that those rights were respected. Lawyers representing the PKK in the case claimed, inter alia, that the Council took no account of developments regarding the involvement of the PKK in fighting against ISIS. The Council claimed therefore to be obliged to base the retention of the PKK on the lists at issue on more recent material demonstrating that there was still a risk that the PKK was involved in terrorist activities. 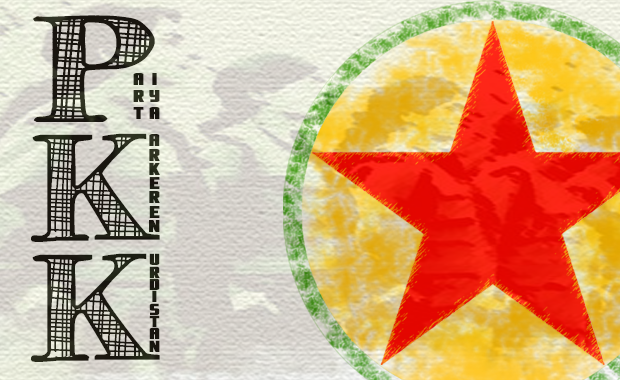 Showing a decision regarding the Ahmet Kaya Cultural Center in France, used to motivate the inclusion of the PKK in the list, the Court said such a formulation is ambiguous, arguing that in fact the Ahmet Kaya Kurdish Cultural Centre and the PKK have to be regarded as two distinct entities. “Consequently, the Council has failed to state to the required legal standard the reasons why it considered that those French judicial decisions constituted decisions of a competent authority ‘in respect of the persons, groups and entities concerned’. “As regards the incidents on which the United Kingdom Home Secretary relied in his decision, on 3 December 2014, to reject the request to end the proscription of the PKK, it is clear that, in its statement of modification of 26 May 2015, the applicant expressly disputes the attribution of responsibility for those incidents to the PKK and the adequacy of the information submitted in support of the conclusion that those incidents correspond to the aims set out in Article 1 of Common Position 2001/931 and to the acts of violence set out in Article 1. Consequently, it must be concluded that the fact that the order of the United Kingdom Home Secretary was confirmed, in December 2014, on the basis of incidents alleged to have been committed by the PKK in May and August 2014, does not suffice to remedy the failure to state reasons identified in paragraph 97. As regards the incidents on which the United States authorities relied as the basis for adoption or continuation of the FTO and SDGT designations, it is clear that, in its statement of modification of 26 May 2015, the applicant expressly disputes the adequacy of the information submitted in support of the conclusion that those incidents correspond to the aims set out in Article 1(3)(i) to (iii) of Common Position 2001/931 and to the acts of violence set out in Article 1(3)(iii)(a) to (k) of Common Position 2001/931. It again has to be stated that the statement of reasons for the contested acts specified in paragraph 81 above provides not the slightest indication that the Council actually considered and attempted to establish whether the alleged facts were well founded. The Council has also, in the course of these proceedings, failed to produce anything to establish that those facts are well founded. On the contrary, the Council is incapable of detailing with any certainty the actual and specific reasons on which the FTO and SDGT designations are based. In particular, as regards the annual reports on terrorism of the United States Department of State, the Council expressly states in its rejoinder, ‘while these reports may indeed reflect information on which the [United States] has based [an] FTO designation or decision to maintain a designation’, they ‘do not necessarily do so’ (rejoinder, paragraph 115). In the light of the case-law cited in the report, the Council cannot, as in this case, do no more than repeat the grounds for a decision of a competent authority while not itself considering whether those grounds are well founded. That applies a fortiori when the decision in question was not taken by a competent authority of a Member State. The statement of reasons for the contested acts specified in paragraph 81 above is such that it is impossible to know whether the Council fulfilled its obligation of verification in that regard and that the Court cannot exercise its power of review as to whether the facts alleged are made out. As regards there being nothing to support the delisting of the applicant from the lists at issue, it has to be said that the applicant submitted to the Council some information which, in its opinion, could support the delisting of the PKK from the lists at issue, notably in its letter of 6 March 2015 in response to the Council’s letter informing the applicant of its intention to maintain the applicant’s listing in the lists at issue.